The cycling world first caught a glimpse of the updated Kona Major Jake at the 2017 Sea Otter Classic. 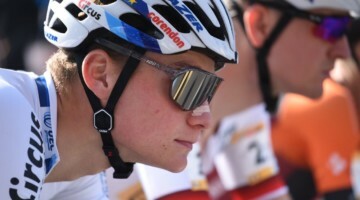 There we heard the frame gained 10 percent better compliance and stiffness, while shedding 10 percent of its weight. What we didn't know at the time were the exact geometry changes and how the Major Jake rides out on the dirt. 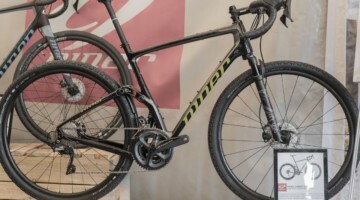 We also didn't get to see Kona's other 2018 cyclocross models. 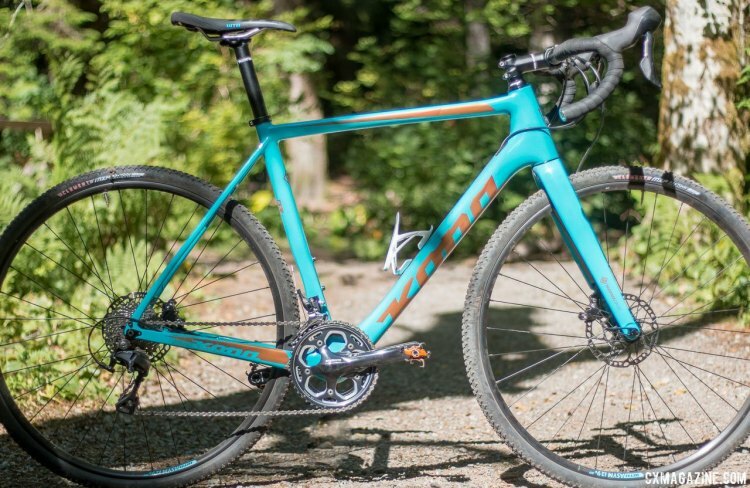 In late July, Cyclocross Magazine's Andrew Yee headed to Squamish, British Columbia to test out the new carbon Major Jake and inspect Kona's other two 2018 cyclocross models: the top-shelf carbon Super Jake and affordable alloy Jake the Snake. 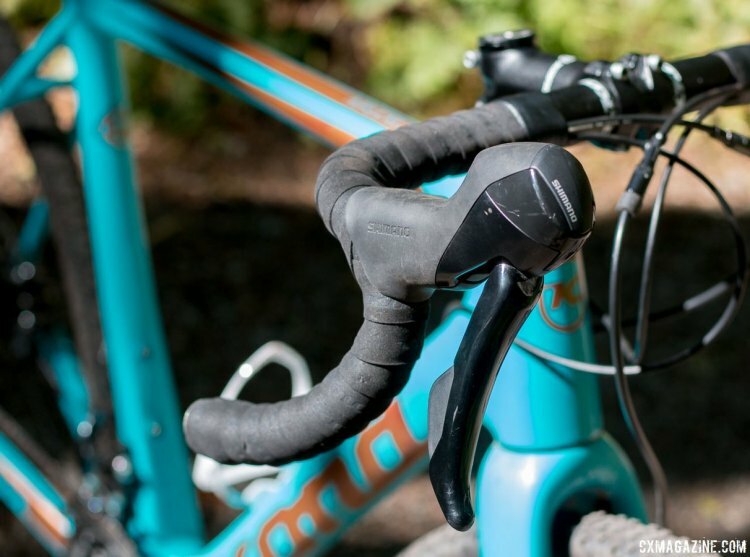 In 2018, Kona is keeping it simple by using the same geometry for all three of its cyclocross models. 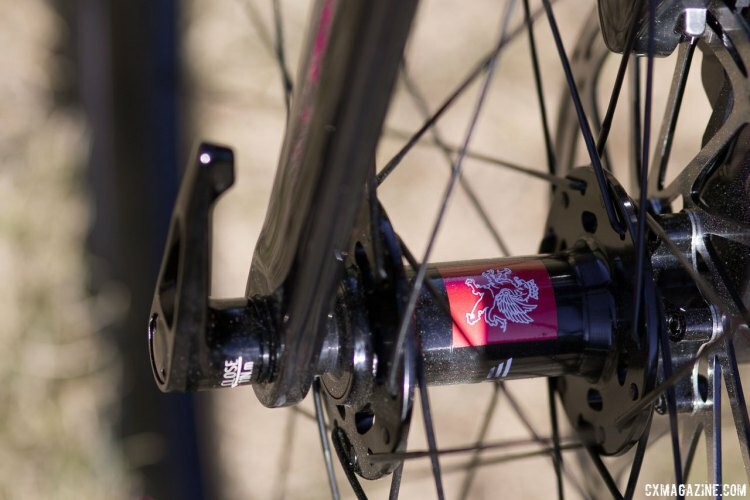 One of the biggest changes is a lower bottom bracket drop. Earlier model years had a relatively high 62mm BB drop that has been lowered about 8mm, depending on the frame size. 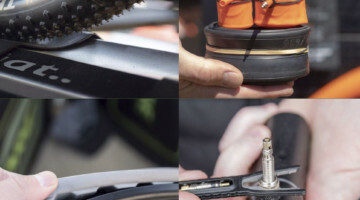 While the bottom bracket drop, and therefore the rider's center of gravity, have been lowered on the new Kona cyclocross line, short-legged riders can't rejoice as the changes don't mean there's more standover height. In fact, similar-reach frames have less standover for 2018. Instead, Kona has prioritized shouldering room by creating roomy main triangles that should make flipping the bike onto your shoulder a snap. Kerry Werner certainly noticed this change when riding the new frame to shoot the promotional video below. 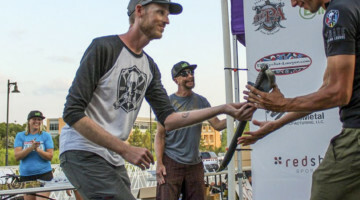 The 2017 Jake the Snake CR and the 2016 Major Jake featured quick release axles and post-mount brake mounts. These “features” are gone for 2018, and in their place are 12mm thru axles and flat mount brakes. Chainstays stayed the same length at 42.5cm but now the effective chainstay length should be a tad shorter due to the increased bottom bracket drop. Behind the bottom bracket more tire clearance has been added, and the company states 40mm tires should fit easily, with some employees reporting success with even bigger tires. 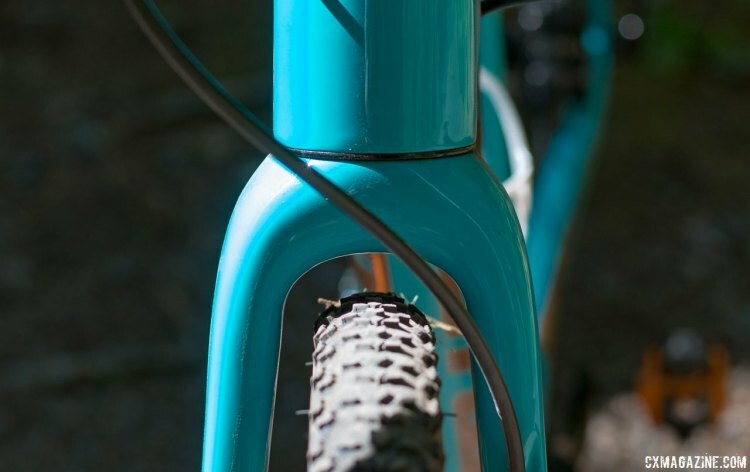 The head tubes are longer to add shouldering room and better fit the those of us who don't ride aggressive positions, but the change also increased the stand over height. 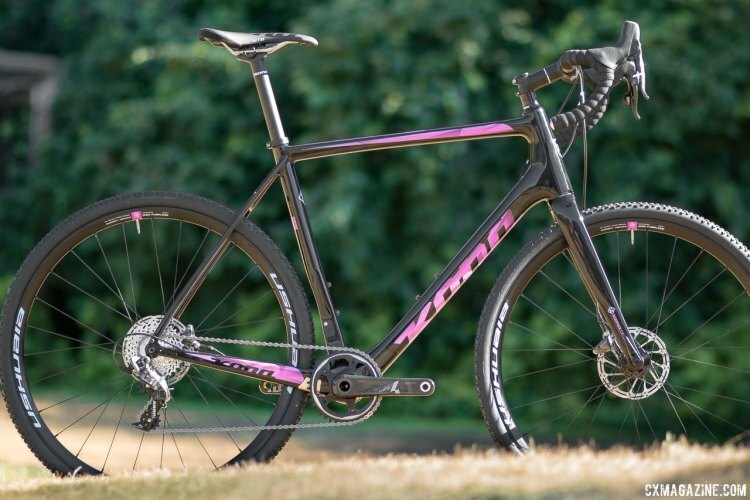 Up front, the entire cyclocross line—as well as the versatile 650b Rove NRB DL we also rode; stay tuned for more on the Rove line—share a tapered steerer 450g full carbon fork with flat mount brake mounts and generous tire clearance. The fork rake is 45mm, shortened a tad from the 47mm of the 2017 Jake the Snake CR. It is also worth noting that the sizing options have changed. The two largest frame sizes, 61 and 63cm, are no longer available and the biggest frame is 58cm. 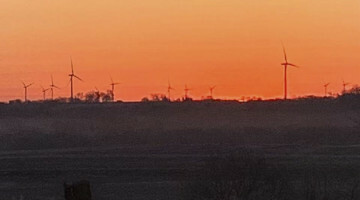 However, due to the taller stack and stand over height, most riders will need to size down anyway. 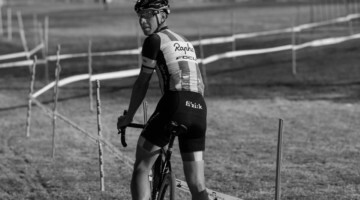 As a result, the 6’4” Barry Wicks rode a 58cm frame, the largest frame offered, and although I typically ride a 56cm, opted for a 54cm, even though the reach of the 56cm may have been more what I'm used to. 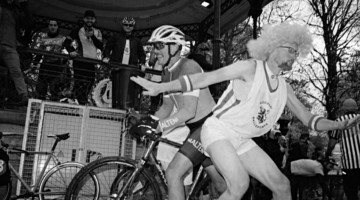 As with most bikes, riders may be able to adapt to different size options using stems with different lengths and rises. 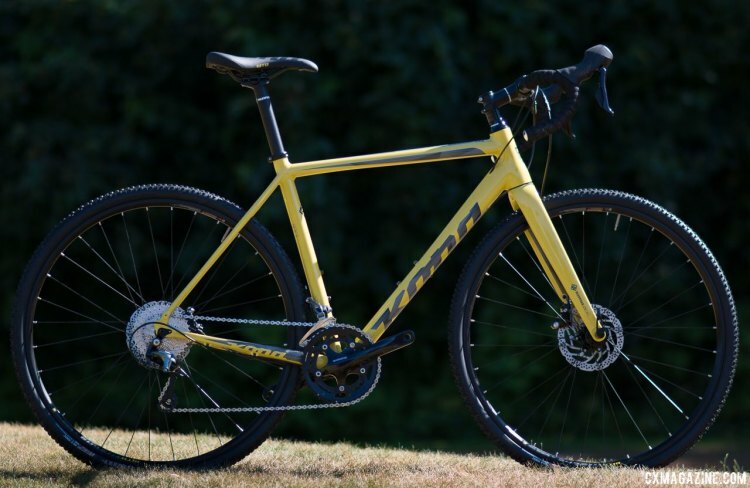 Kona is offering three cyclocross models in 2018—the Super Jake, Major Jake and Jake the Snake. What happened to the entry-level alloy Jake? 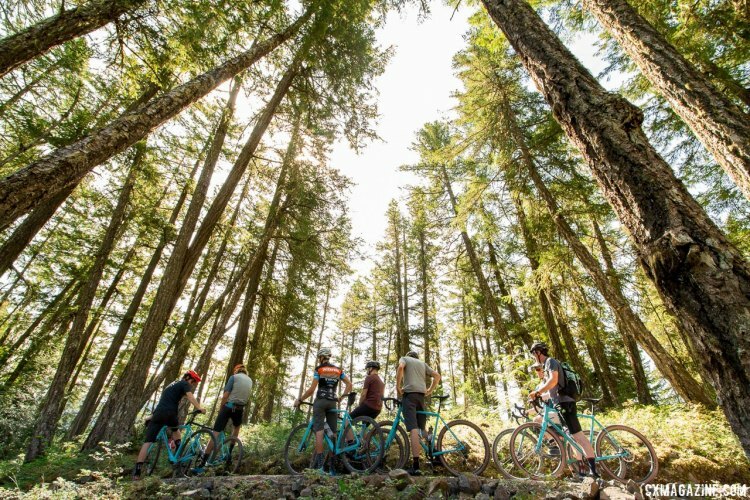 Kona found that most buyers of the Jake were using it for commuting and riding dirt roads and paths, and are now steering that crowd to the Rove and Sutra lines. 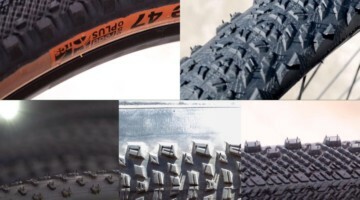 All three 2018 models come with hydraulic flat mount disc brakes and front and rear thru axles, and they feature tubeless ready rims and Clement MXP tires. The carbon Super Jake retails for $3,999. It features a SRAM Force 1 drivetrain, a 1x 40t front chainring and 11-speed 11-32 cassette and Clement Ushuaia rims. The carbon $2,999 Major Jake has a Shimano 105 drivetrain, 46/36 front chainring and 11-speed 11-32 cassette and tubeless ready WTB i19 Asym rims. The carbon Major Jake has the same geometry as the Super Jake, but has a Shimano 105 drivetrain and a 46/36 front chain ring and an 11-speed 11-32 cassette. 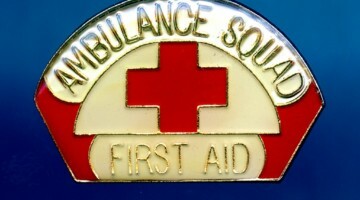 photo: courtesy. 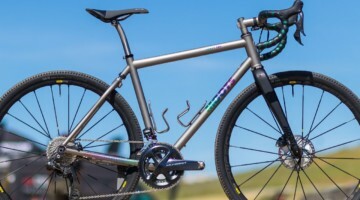 The aluminum alloy Jake the Snake has an MSRP of $1,799, Shimano Tiagra drivetrain, 46/34 front chainring and 10-speed 11-34 cassette and tubeless compatible WTB STP i19 rims. 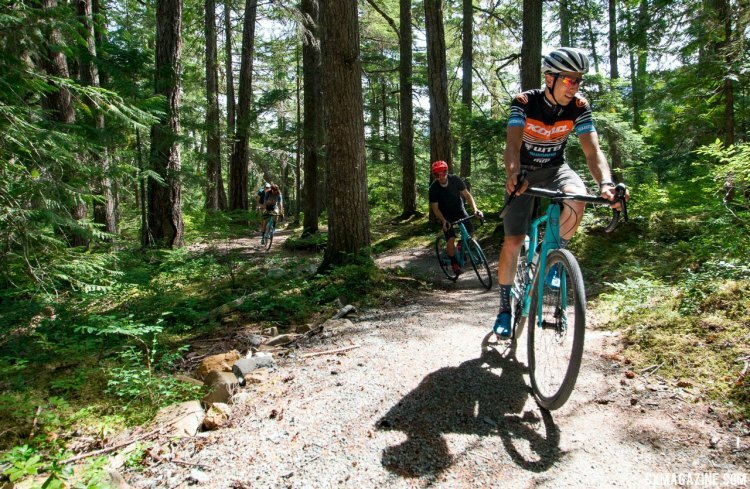 At the Kona Launch in Squamish, I had two rides: a short, self-guided exploration, and a long gravel adventure. The gravel ride was on the new 650b Roves, so it only made sense to grab a new stock Major Jake for my self-guided ride on the mountain bike trails near our base. On second thought, my ride through the rocky, rooty singletrack of Squamish looked nothing like Werner’s ride, mostly due to the major difference in environment and to a lesser extent, rider skill. The stock Major Jake, despite rolling on inner tubes at high pressure, was a joy to climb up the roots and steeps of Squamish. 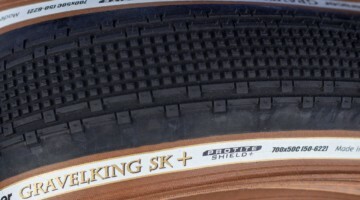 The climbing traction was great, and it responded well to wheel unweighting and quick line changes, which are traits that should come in handy on the cyclocross course. 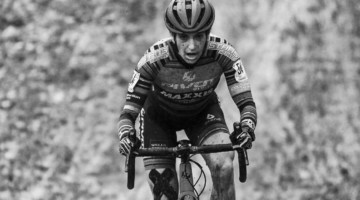 On the technical descents, the traction was helpful and the bike's responsiveness was aided by the new lower bottom bracket and relatively low center of gravity. 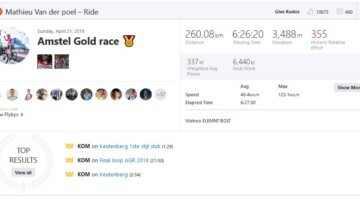 On long, fast descents, I would want to be more stretched out than the 54cm frame allowed and would probably go longer on the stem. The build, complete with the 105 STI hydraulic brakes and shift levers, performed admirably. The bulbous levers look funky, but performed similarly to the higher-end R685 levers, as did the Shimano hydraulic flat mount brakes. 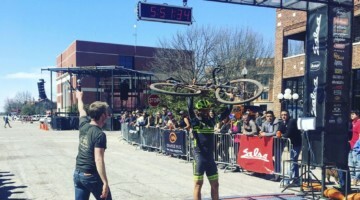 The dual chainrings add versatility for different riding styles, but 1x fans can always jump up to the higher spec'd Super Jake for its SRAM Force 1 drivetrain. 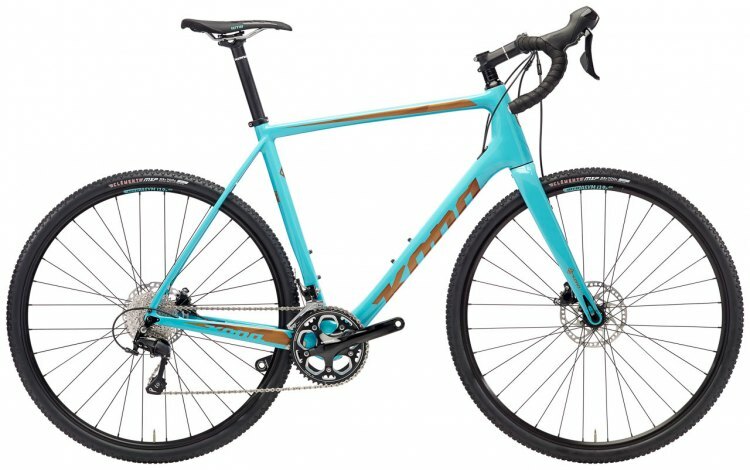 Of course, one single ride on foreign terrain is not enough to offer a definitive conclusion on a bike's handling, and I am looking forward to dialing in the fit and spending more time on one of these models soon. 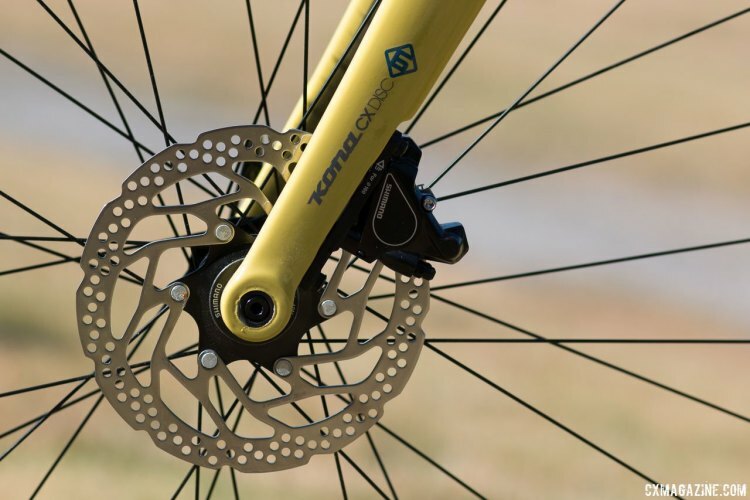 Kona has taken major steps to modernize its cyclocross line with a lower bottom bracket drop and front and rear thru axles. 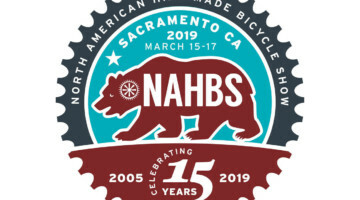 It has also added versatility with bigger tire clearance, two carbon models and an upgraded alloy model that shares the high-end fork and geometry while still offering versatility with rack and fender mounts. Kona has kept the Jake line simple. 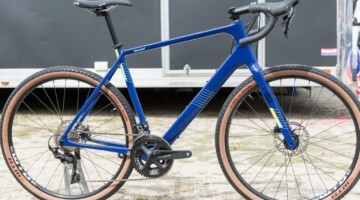 There are no front or rear suspension devices, just an elegant, race-worthy three-bike line-up that is a worthy successor in the company's long history of cyclocross bikes. 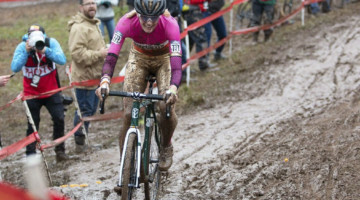 Look for Kerry Werner, Helen Wyman and the Rad Racing team to put Kona's race-ready cyclocross bikes to the test across the U.S. and Europe this season.